This project is in the very early stages. 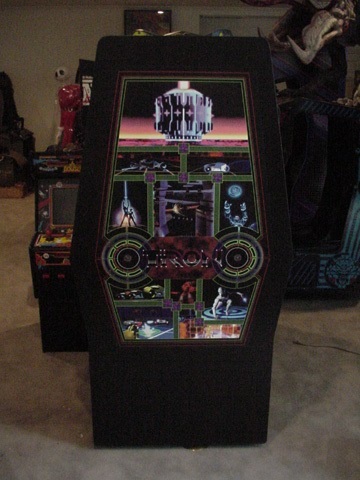 Ultimately, it should run all TRON games to date (from MAME to TRON 2.0). 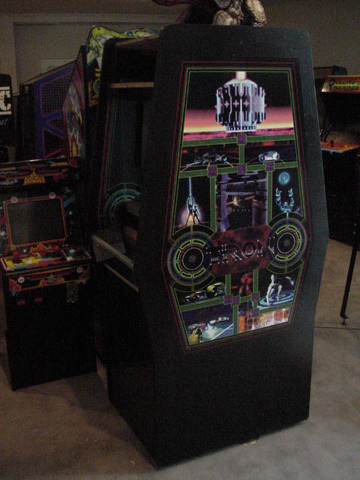 Here are a few photos to show the cabinet in it's original condition. 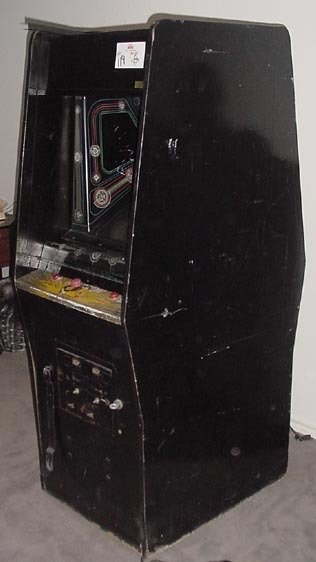 It came with an Arkanoid board in it....talk about lame. 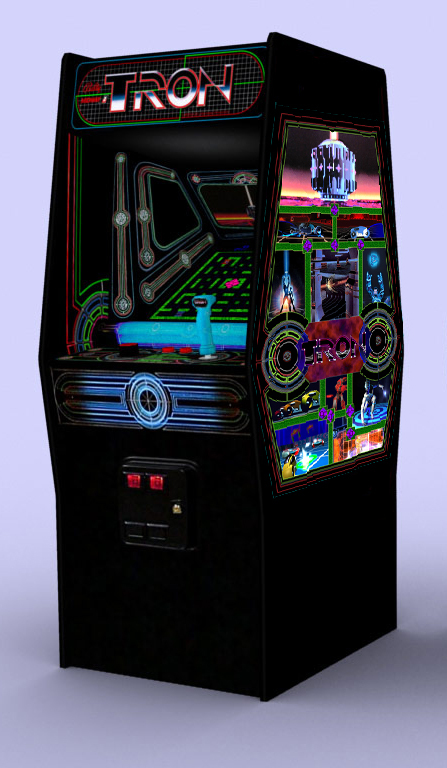 This first image is a CG mockup of what the cab was planned to look, and the other two photos are how it turned out.